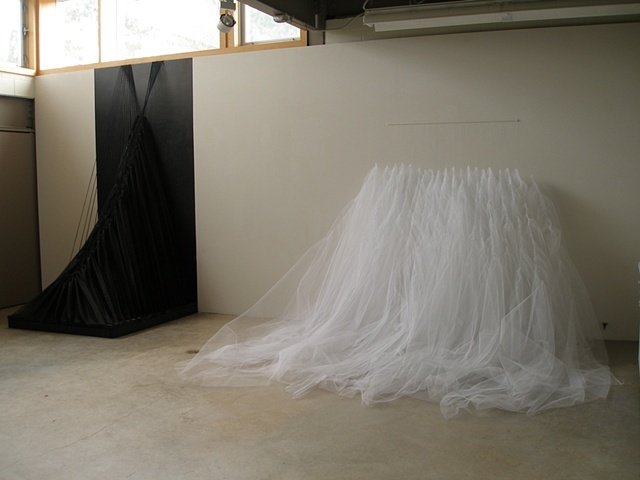 My work is based on overlapping the boundaries that exist between art, fashion, architecture and fabric, to form a bonding dialog between the disciplines. 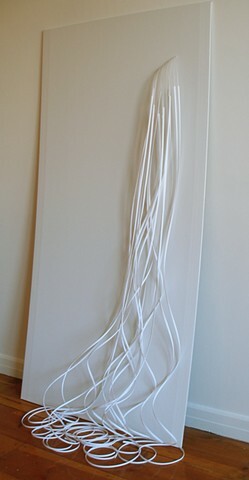 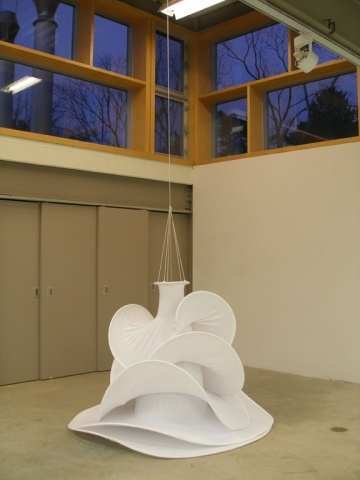 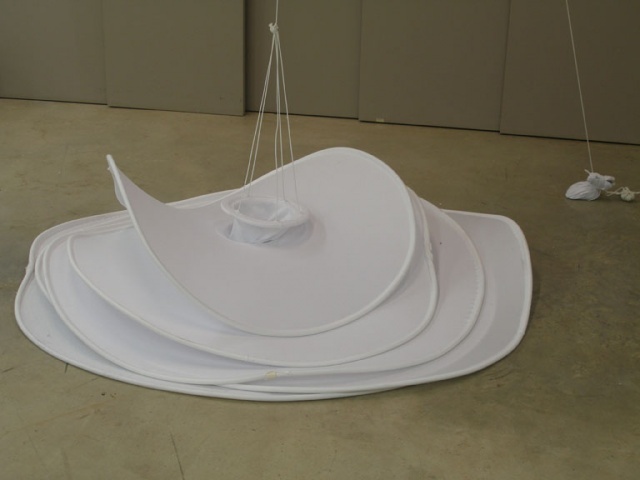 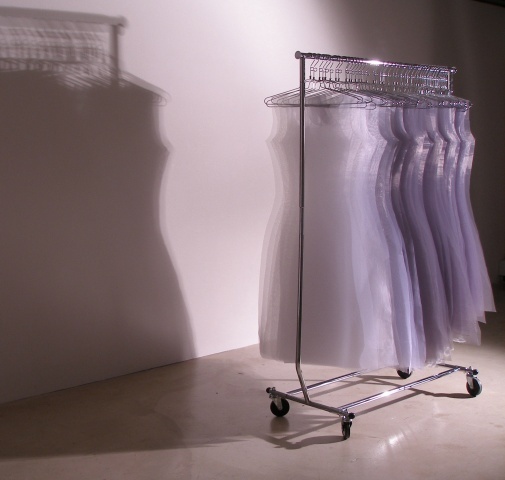 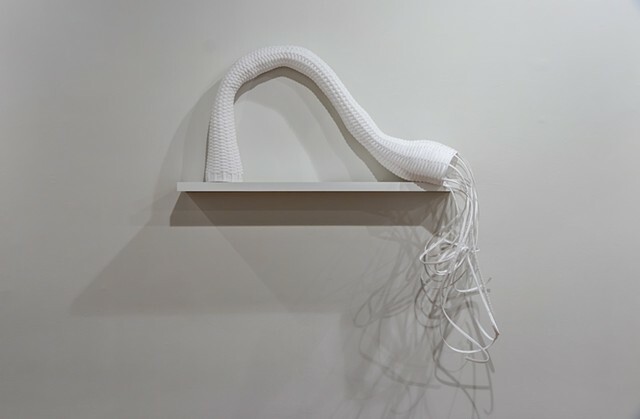 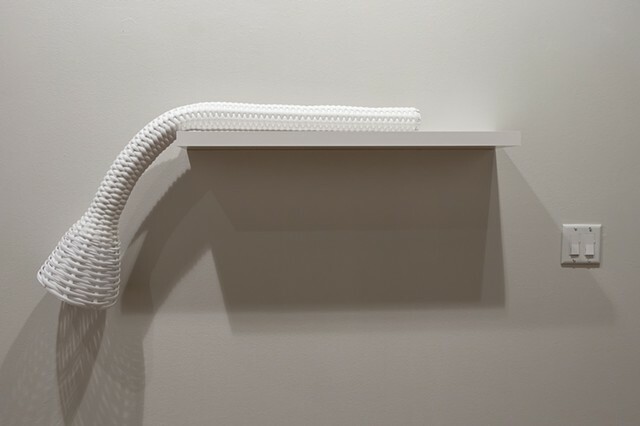 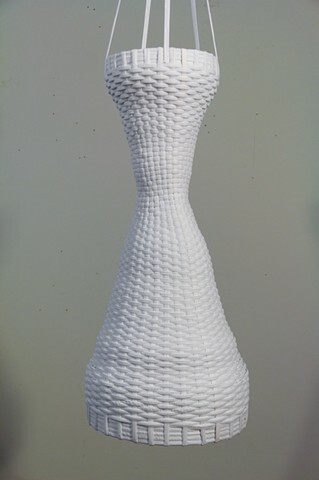 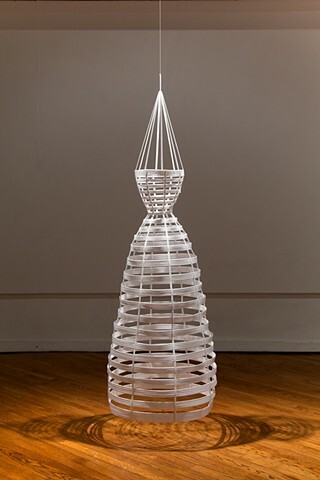 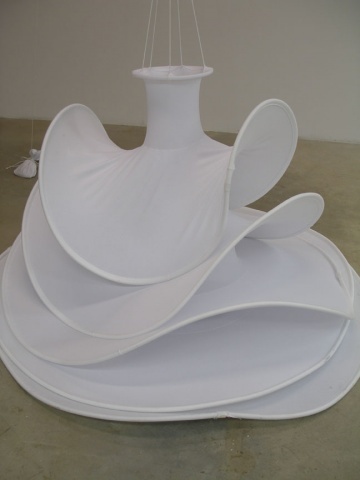 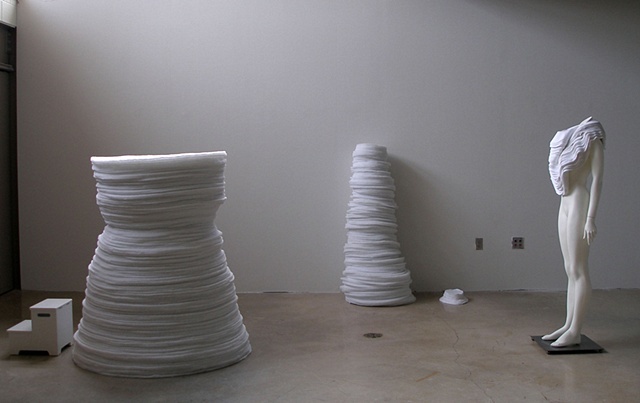 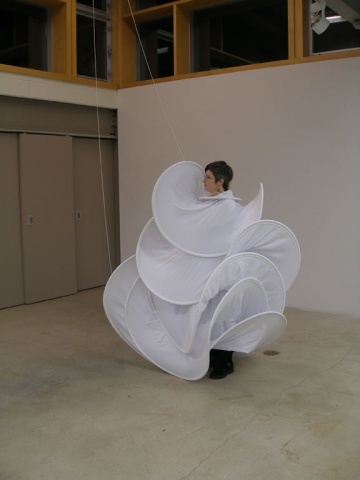 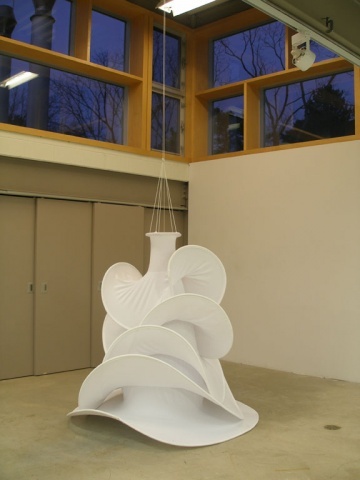 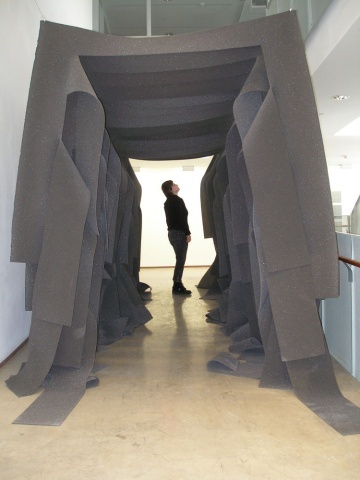 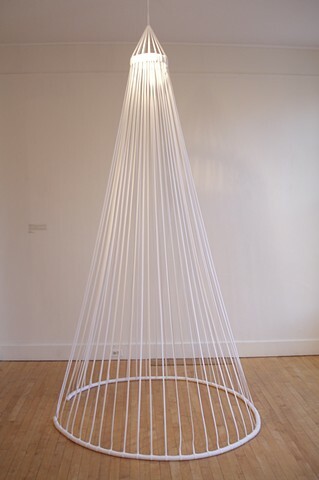 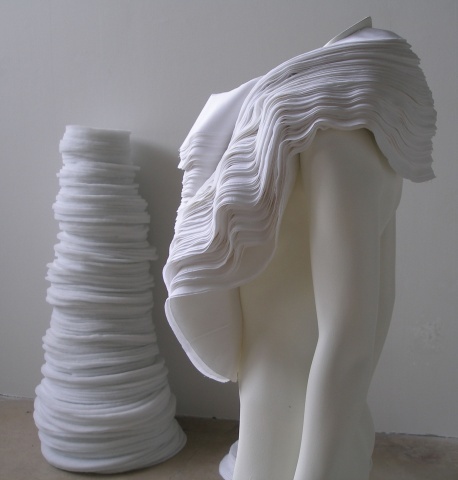 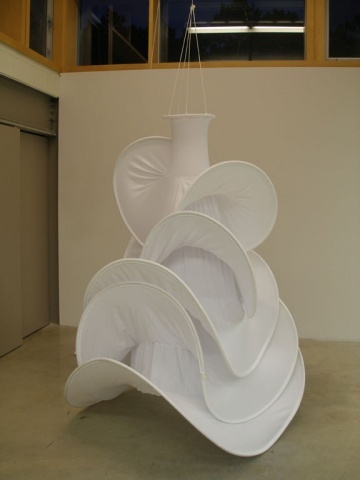 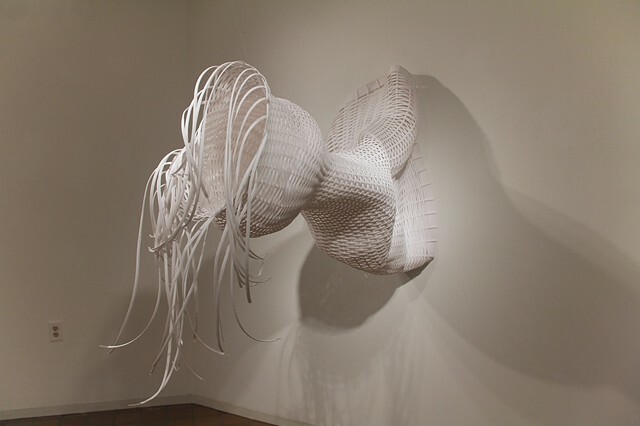 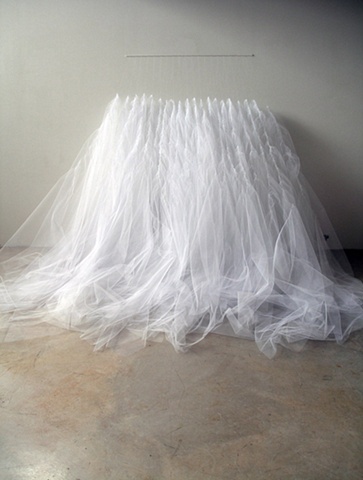 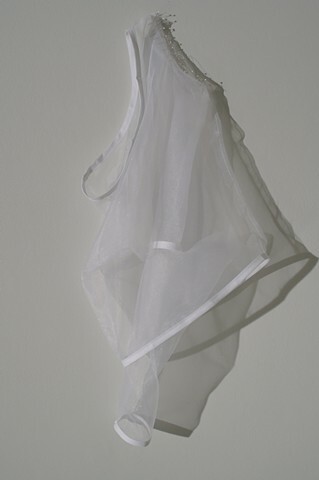 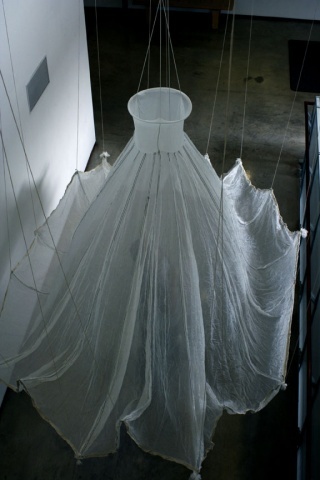 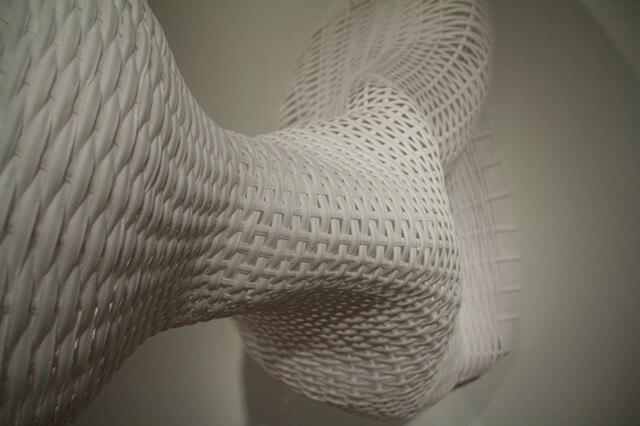 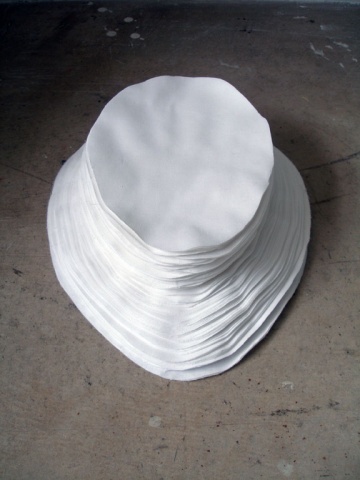 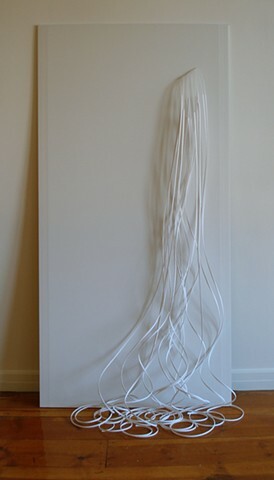 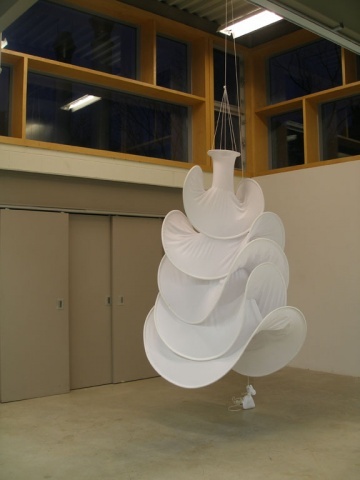 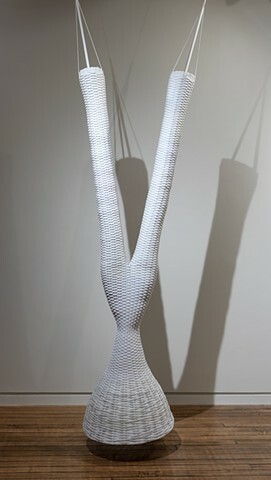 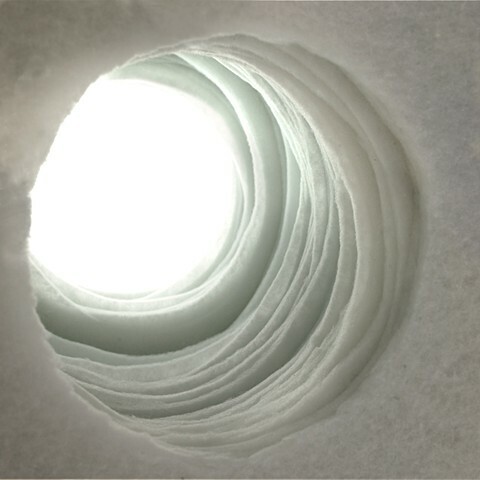 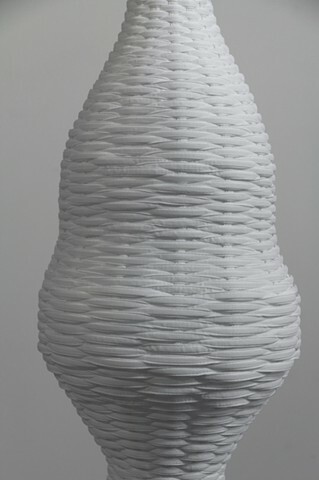 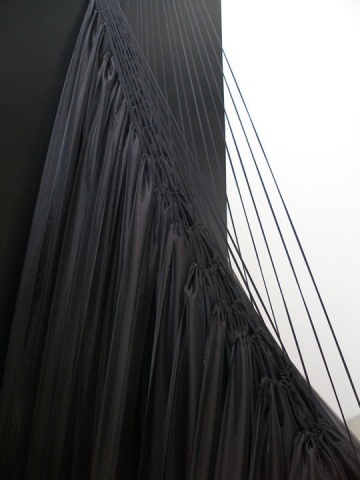 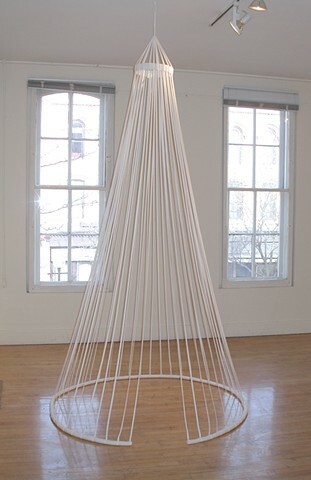 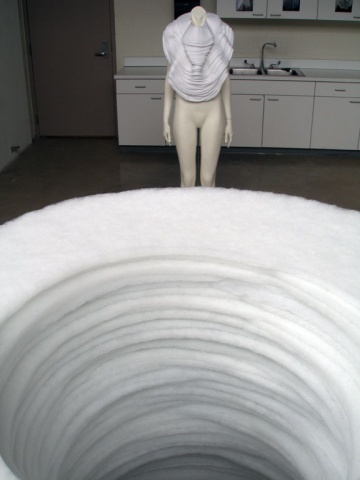 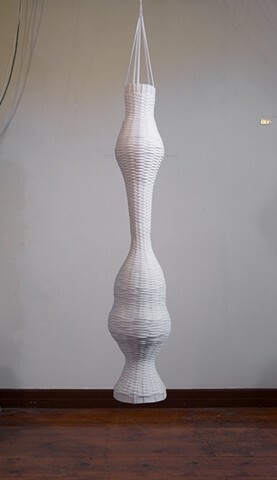 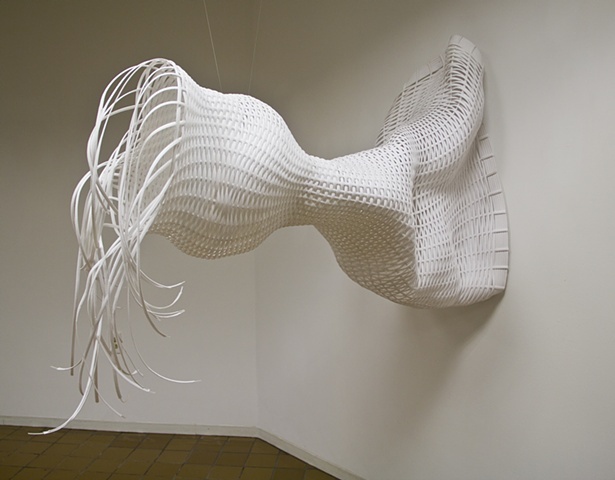 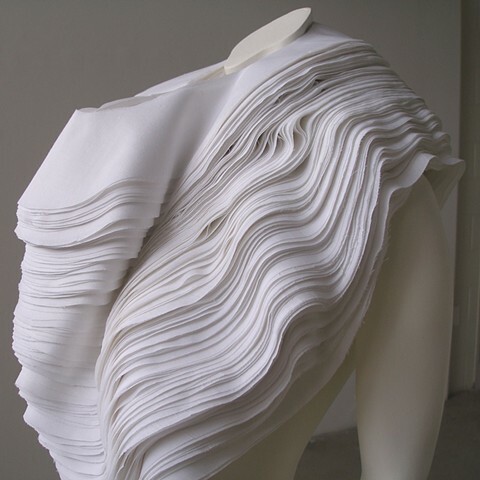 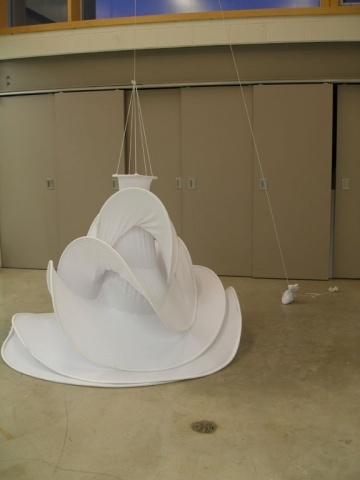 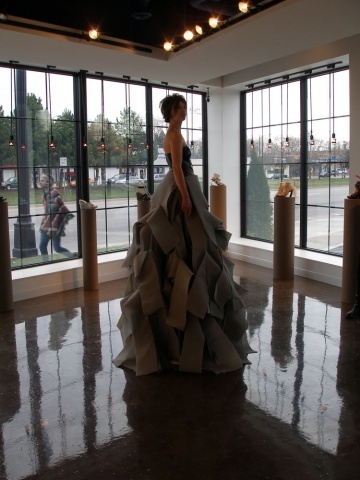 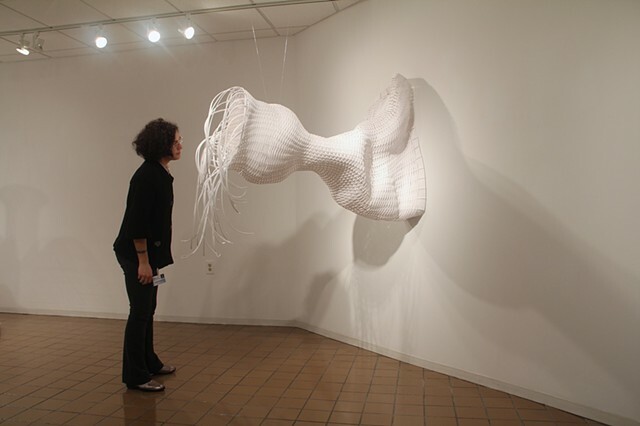 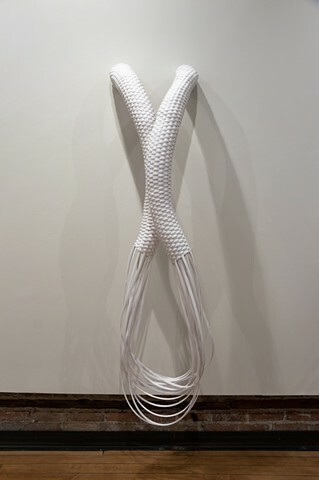 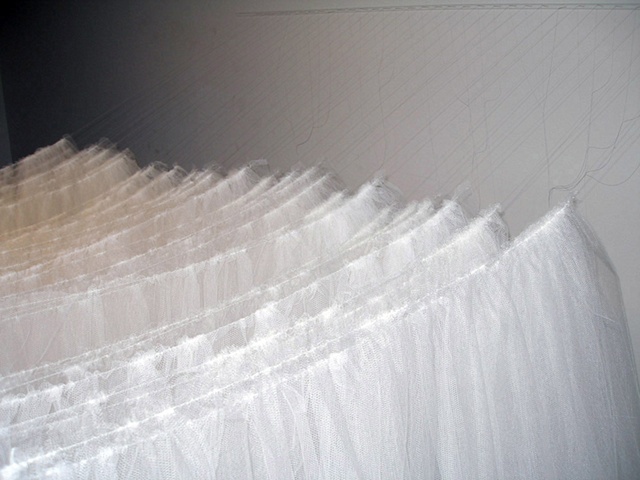 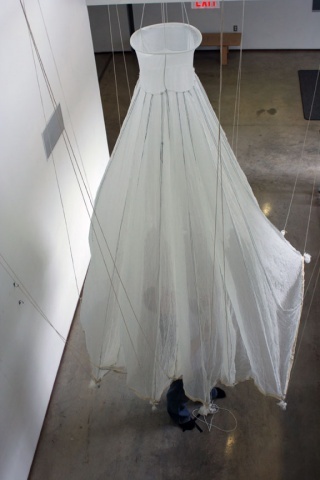 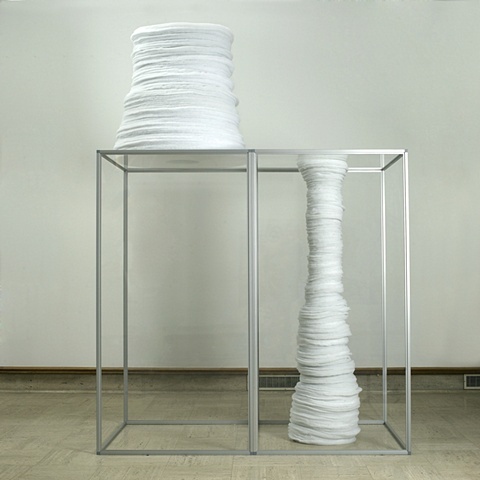 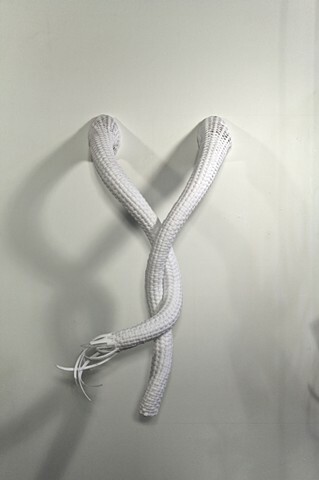 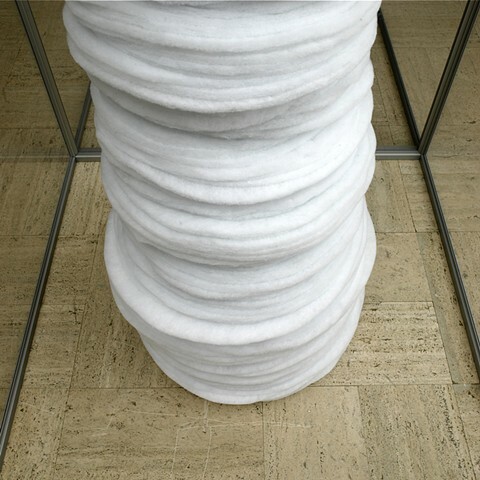 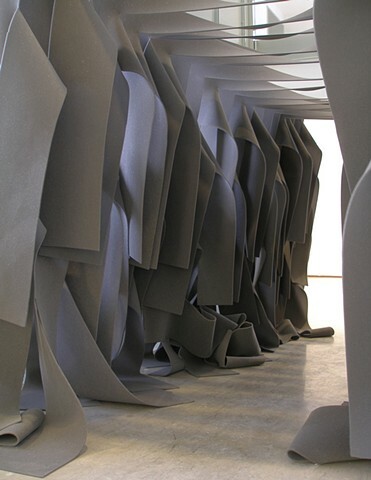 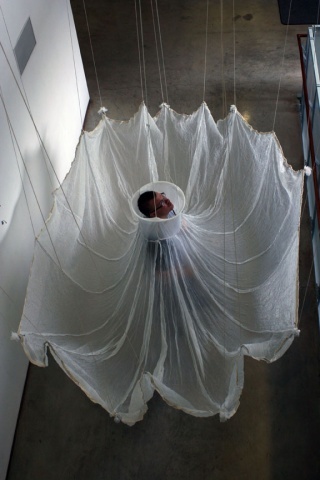 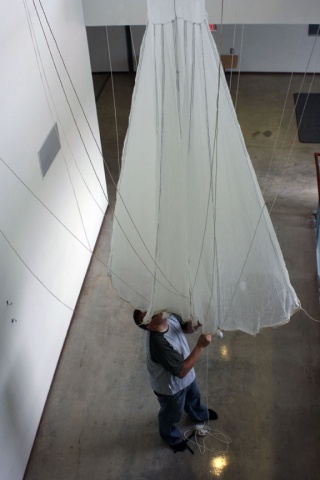 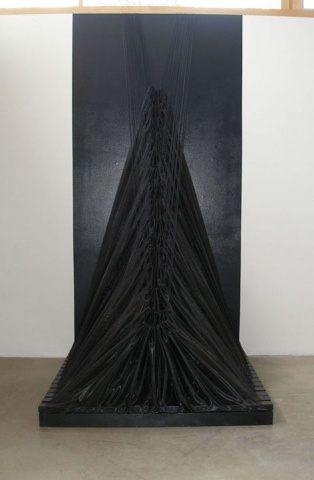 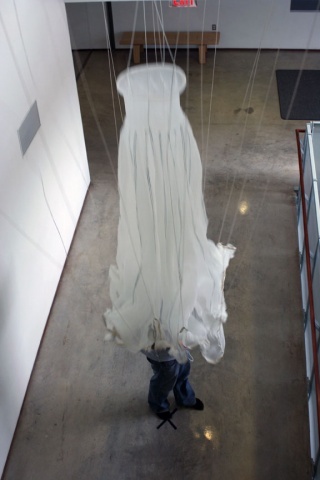 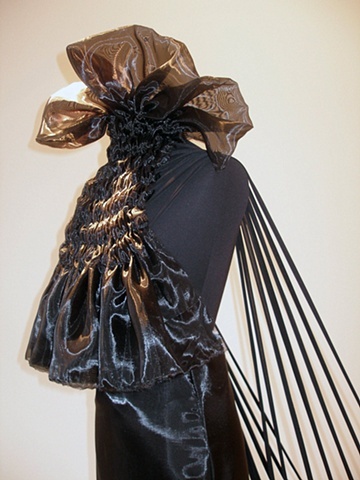 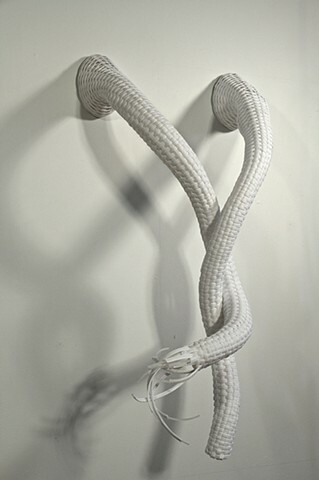 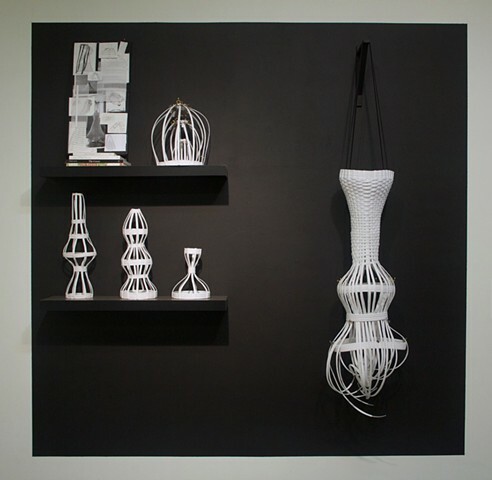 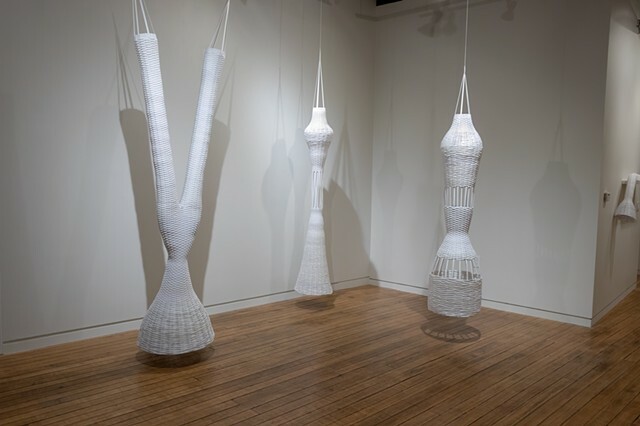 My process uses techniques and materials borrowed from garment making and fashion design processes and applies them to creating forms that evoke garments, but exist as sculptures and spaces. 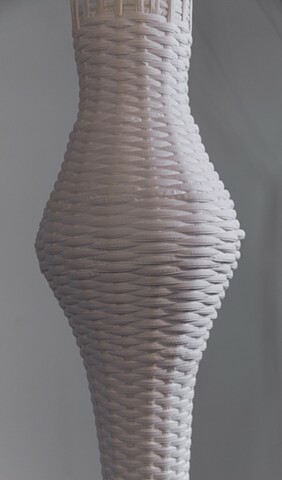 Even while this transformation takes place, I am still very much interested in the way the body interfaces with these objects and how the figure is suggested and implied. 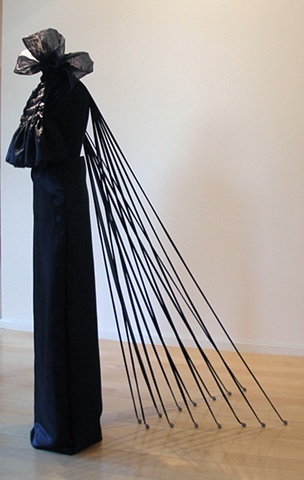 I am interested in exploring how past and present fashion design is tailored to constrict the female figure and ultimately to transform it. 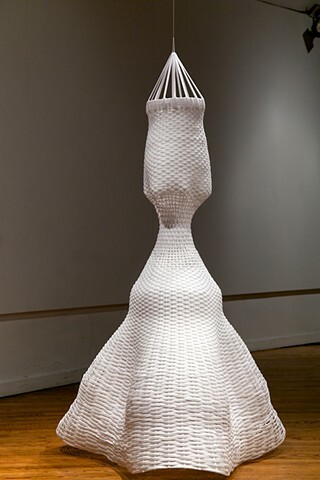 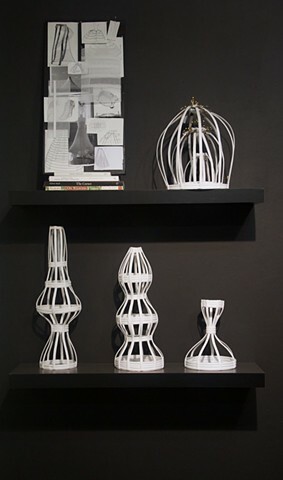 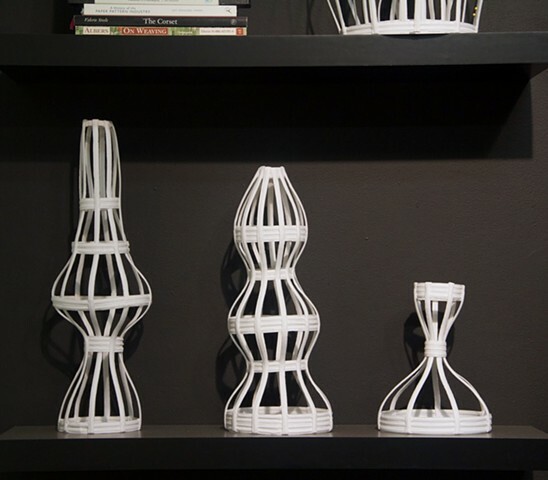 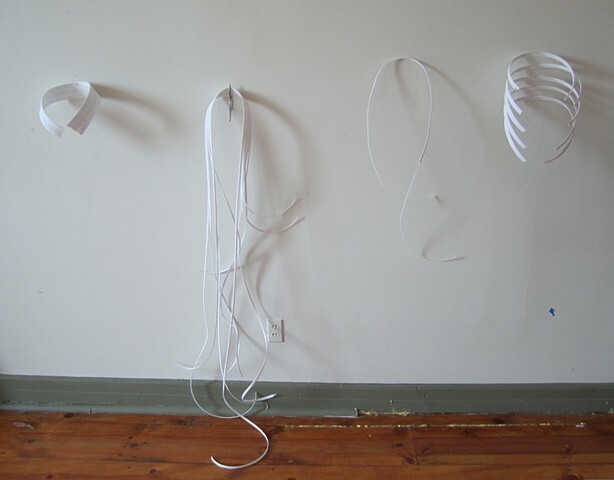 The use of boning as a material is meant to recall the corset, which was used throughout history as a device to mold the body to the ideal of the time. 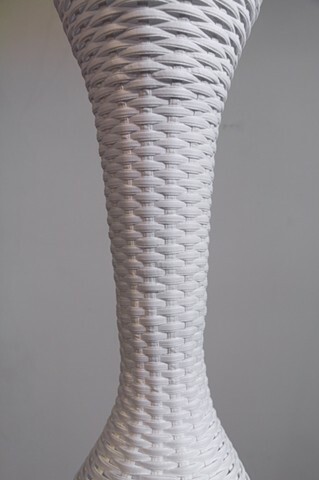 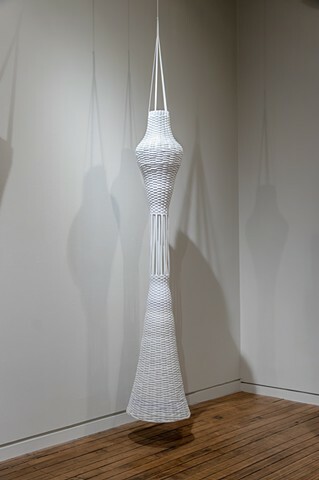 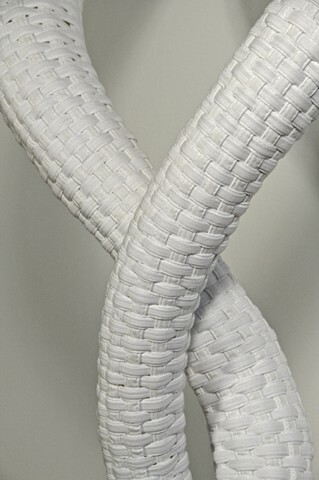 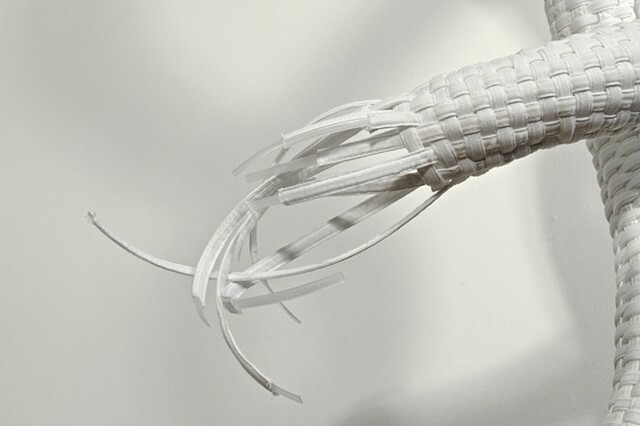 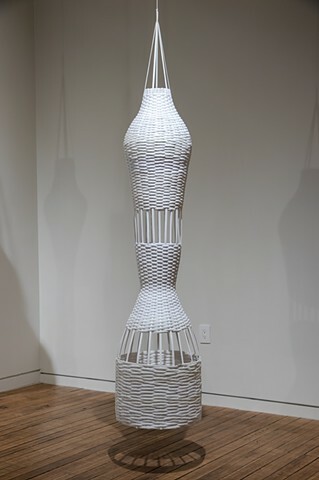 The use of weaving and basketry are a reference to techniques that are historically associated with female labor. 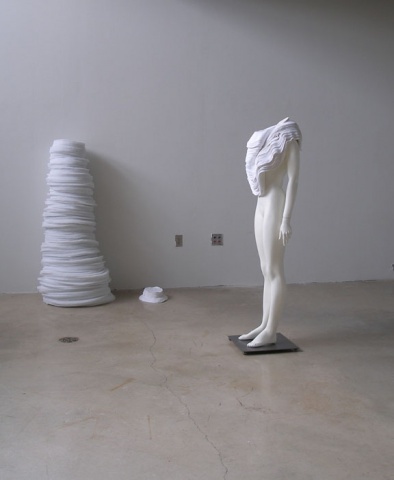 Thus, while my work moves away from traditional fashion design, its core concern of dealing with the (female) body remains a key part of my work. 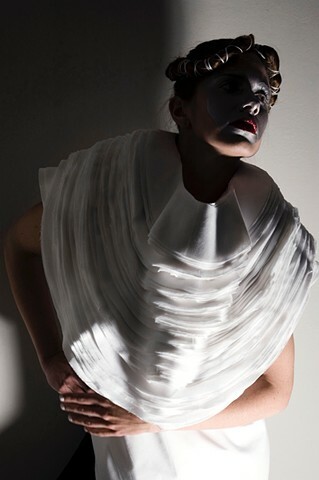 Rather than simply wrap, transform or conceal, I attempt to question fashion and reveal its complicated relationship with the female body and identity.